Newly manufactured by Federal, this product is excellent for target practice, plinking, and routine tactical exercises. The product is both economical and precision manufactured in the United States by an established U.S. cartridge producer. 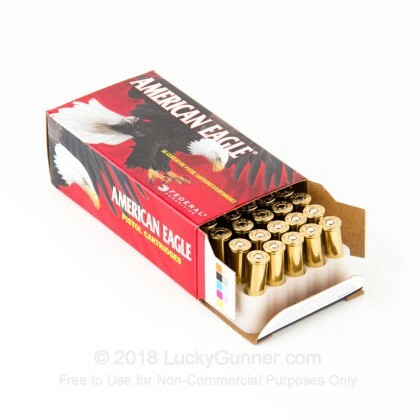 The American Eagle brand is a product line of the Federal Cartridge Co., which is owned by ATK, the largest ammunition manufacturer in the United States. Good clean and very accurate. Shot mine out of a S&W mod 15. More accurate than I am for sure. Very clean burning ammo. Reloaded the brass many times. No jams, easy to clean weapon! 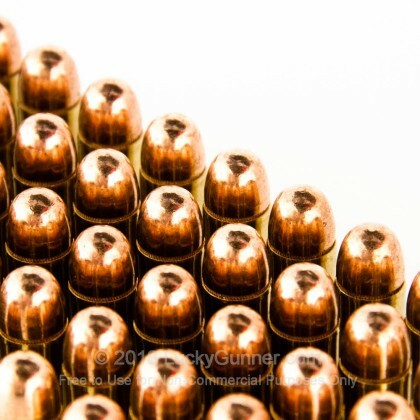 Good ammo, good price, fast delivery, that's all I need!!! Fired well through my S&W 686 plus, no problems at all, thanks LG!! Shot these from my Ruger Match Champion Revolver. All hits when I was paying attention to my shooting were inside the 10 ring. A 1.5 inch group at 50 feet. Shot these from my Ruger Match Champion Revolver. All hits when I was paying attention to my shooting were inside the 10 ring. About a 1.5 inch group from 50 feet. Great ammo. Lucky Gunner is a good supplier. Always a pleasure doing business with them. The highest quality of product,the fastest delivery and great service makes LG the best place to buy. I only buy from them. Bought this stuff for my new-to-me 1920 vintage S&W M&P. Excellent stuff. Accurate and burned clean. 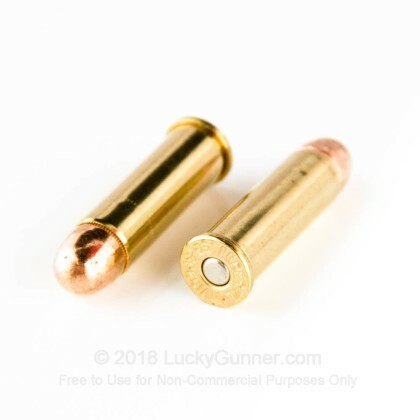 Gives you nice brass for reloading, too. 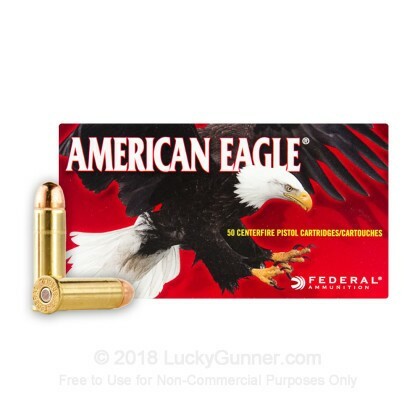 As always, excellent ammo that is dependable and reasonably priced. 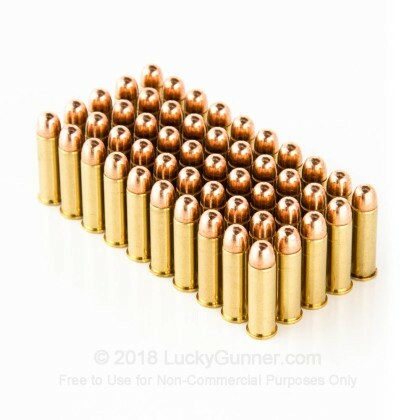 I recently switched to Federal ammo because of some reliability problems with other high-end American-made .38 Special ammo. Federal does not disappoint: excellent quality at an affordable price. I got what I wanted at a fair price. I enjoy ordering from you. Excellent. No flaws or failures. I've had NO troubles with all the ammo. I've purchased at Lucky Gunner. I'm a permanent fan. 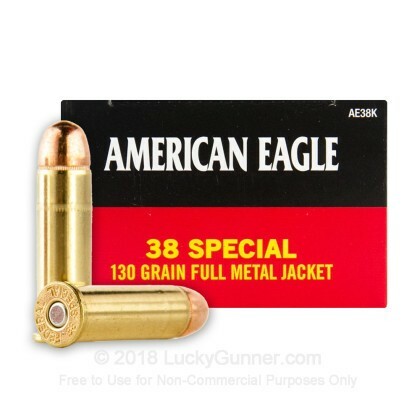 We also have this 38 Special - 130 Grain FMJ - Federal American Eagle - 1000 Rounds ammo in stock in a bigger quantity.